This charming mid terrace cottage, built of Purbeck stone, occupies a central location within the pretty village of Langton Matravers. 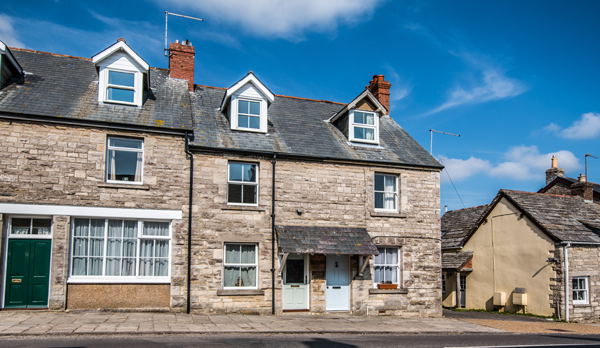 Steeped in history this traditional village is just one of a number dotted within the Isle of Purbeck; an area of open countryside designated an Area of Outstanding Natural Beauty, bordered by the River Frome and the Jurassic Coastline. Entrance into a large lounge, through to dining room, where a sideboard houses games, books, videos, CDs and DVDs. The modern kitchen leads to a small lobby with storage for boots and coats and a door to the rear garden. Outside is a small paved patio area from where a path leads to a 'hidden garden'; a secluded lawn with garden table and chairs and BBQ; perfect for relaxation. The cottage is freshly decorated in a contemporary style using pastel tones, pine furniture and comfortable lighting. 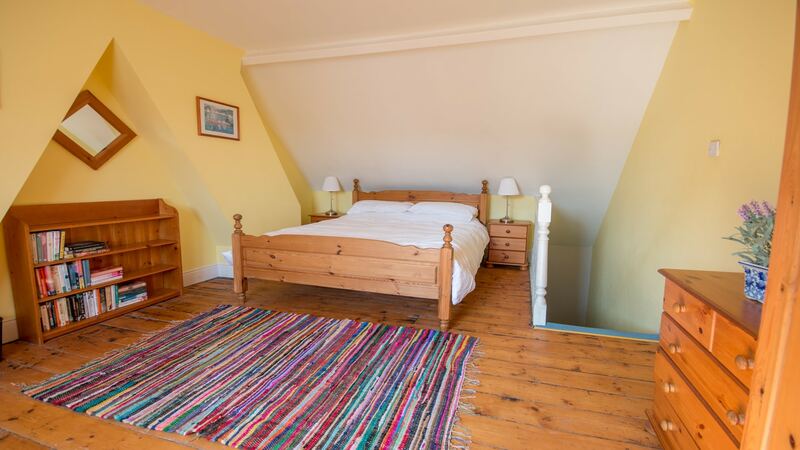 Driftwood cottage makes an ideal base for any family holiday. The village of Langton boasts a pub, a general store/post office and a children's adventure farm. Langton is a walkers dream, with walks available to all points of the compass- Swanage by road or down the Priests Way footpath, Worth Matravers with the tea rooms and unique Square and Compass pub, Corfe Castle, with tea rooms, pubs, shops and of course, the castle, or the famous Dancing Ledge on the coast. 3 Bedrooms. S/F 5 ft double. F/F 2 x twin. Lounge with TV, Video, DVD, CD. Dining Room with table for 6. 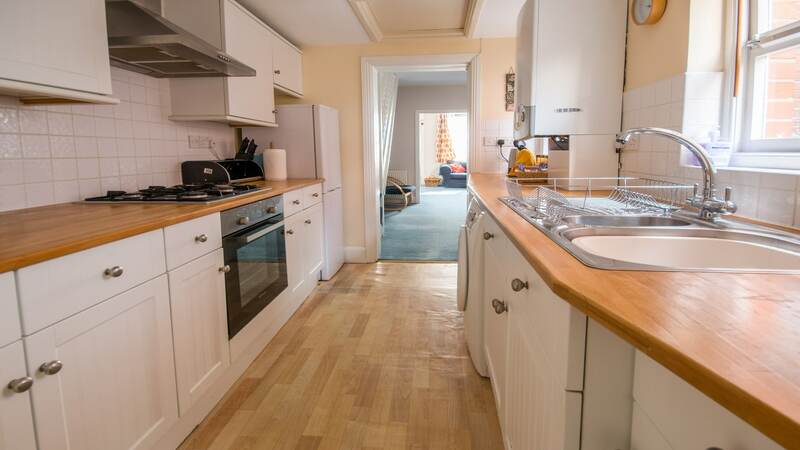 Kitchen, oven, hob, microwave, fridge-freezer, washing machine. 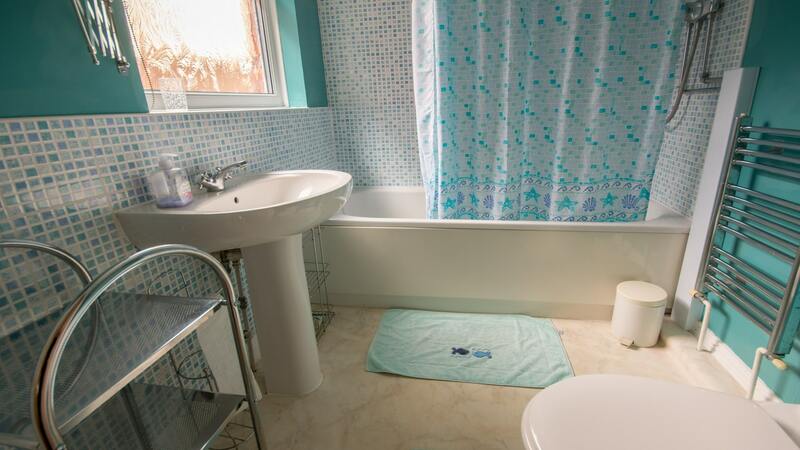 G/F Bathroom with full suite and power shower. Garden, good size lawn, patio and furniture & BBQ. Parking, on road. Central Heating. WiFi available. Linen provided, towel hire service is available (charged separately). Highchair, travel cot and stair gate available. 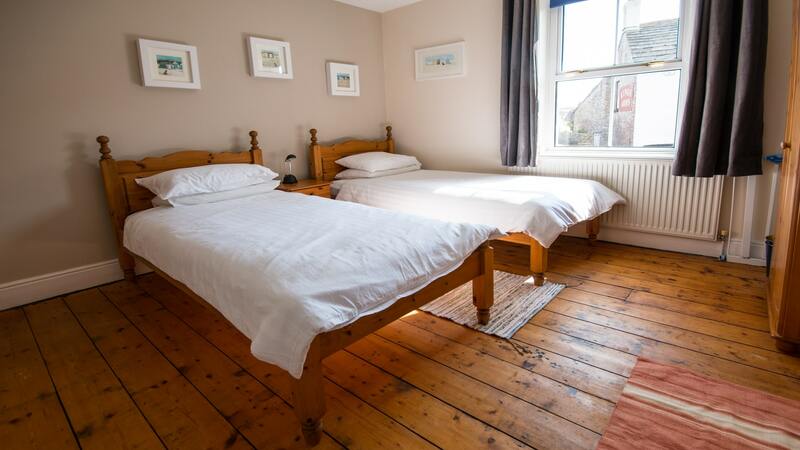 The cottage is comfortable and well-equipped, the village shop & pub are just over the road. 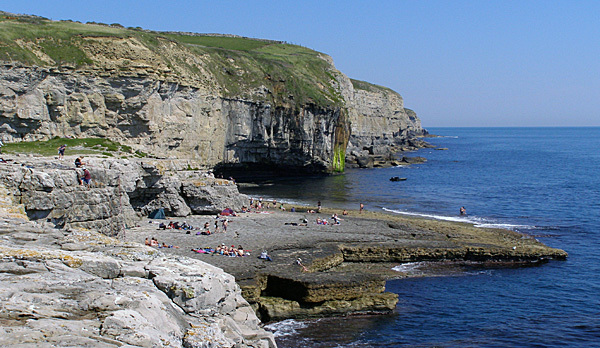 It is well situated for walking, the south-west coastal path, priests way & purbeck way are all very accessible. Good swimming in Studland bay and Lulworth Cove. Enjoyed stay at Driftwood. The kitchen was well equipped which was great for cooking, (we even made pizza dough). We were nicely central to go to beach, go cycling or hiking. Only minor quibble on cottage was confusion over bins. Different instructions inside than outside instructions and not sure when to put out for bin men. We thoroughly enjoyed our stay at Driftwood cottage. 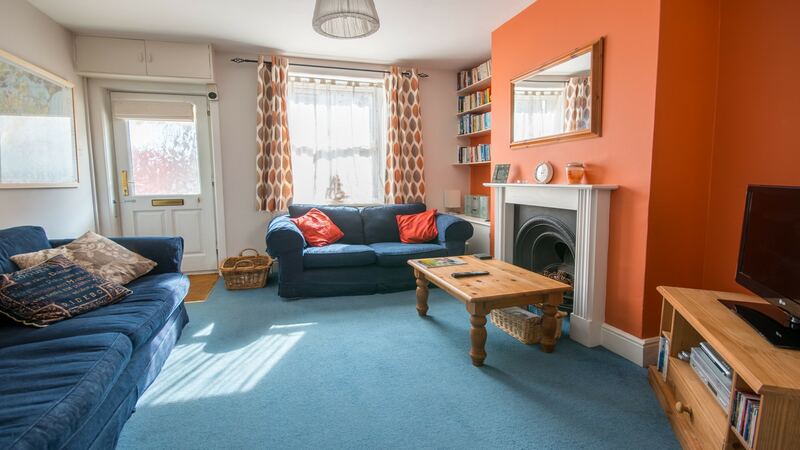 The house is fully equipped for a family and in great condition. I would like to especially point out the very comfortable beds - sadly a rarity in the holiday home scene. 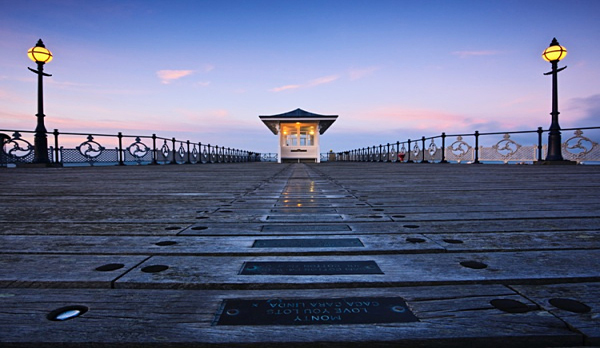 The village is very nice and quiet and is excellently located for fabulous walks and other excursions around the Swanage area. We had a great time and will be definitely looking to come back some time in the future! Our stay in the cottage was amazing! The kitchen had everything we needed as a family with kids who cooked many of the meals at home. The place was immaculate when we arrived. Everything in good repair, lush new carpet, the place itself cheerful and welcoming. Good mattresses. Nice garden. we didn’t want to leave! We enjoyed our stay at this lovely house. Weather was great and we enjoyed the local beaches. First time visitors at Driftwood Cottage, we have had a lovely stay. Weather was fantastic so we went to the beach every day. 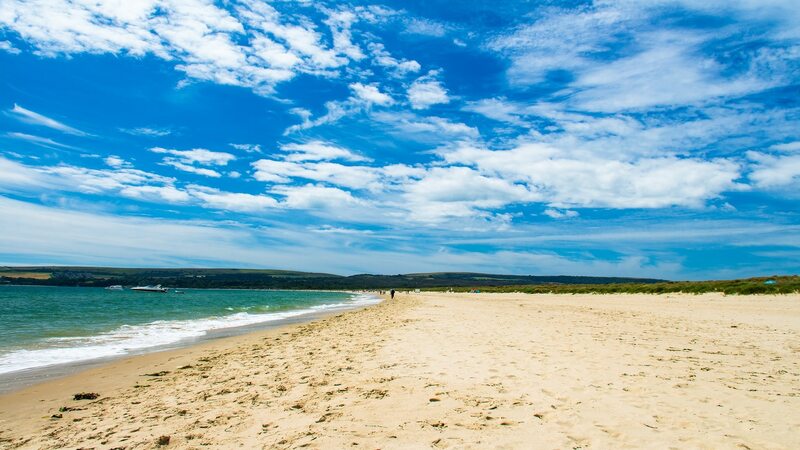 Swanage beach, Studland Bay, Lulworth Cove. We had a nice meal at the pub across the road. Cottage well equippe. Would love to come again. Another super stay in Driftwood Cottage. Places to eat: Kings Arms (a friendly pub with a lovely beer garden), Scott Arms at Kingston, lovely views of Corfe Castle, The Globe- lovely food and service. We've been coming to Dorset for 5 years now and look forward to many more holidays. We really enjoyed our stay again. We have had a fun filled week and would love to come again. Some places we visited were Studland beach, the sea life centre, warmwell swimming pool and many more! love to come again. We have had a lovely Easter at Driftwood Cottage, many thanks for the Easter eggs! a lovely suprise. Storm Katie blew out and left us with some fantastic weather! 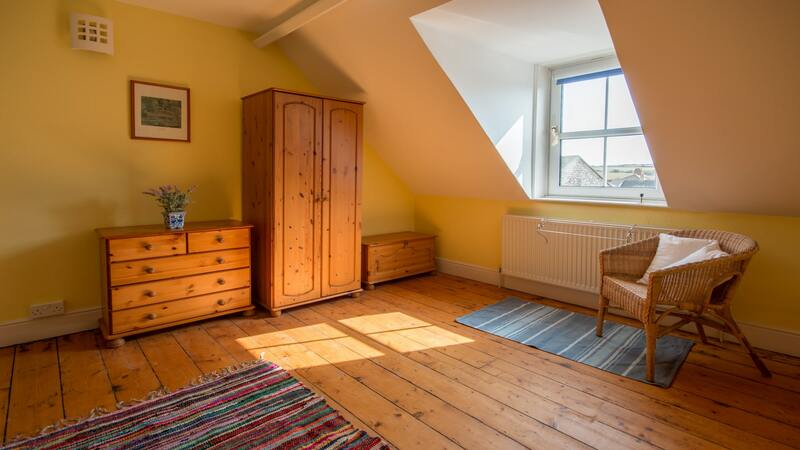 beautifully decorated and well equipped cottage. We enjoyed our stay at Driftwood cottage very much. It was clean, spacious and well equipped; and in a good location for beaches and other places of interest. The post office across the road was very convenient for all our requirements and the staff were very welcoming, as was the village pub. We enjoyed Monkey World, Thomas Hardy's House, Corfe Castle and Lawrence of Arabia's House (National Trust), Dorset County Museum (Dorchester), and fossil hunting at various sites. We have had a lovely Easter at Driftwood Cottage, many thanks for the Easter eggs, a lovely surprise! Storm Katie blew out and left us with some fantastic weather! 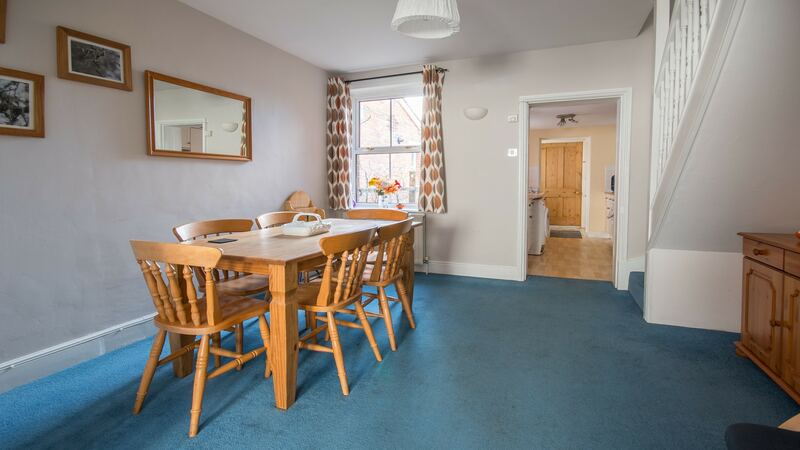 Beautifully decorated and well equipped cottage! What a great time we have had walking, cycling, eating and drinking our way through the Purbecks. Loved the friendly Kings Arms, Th Pig on the Beach, Square & Compass etc etc The cottage was great.. we will return! 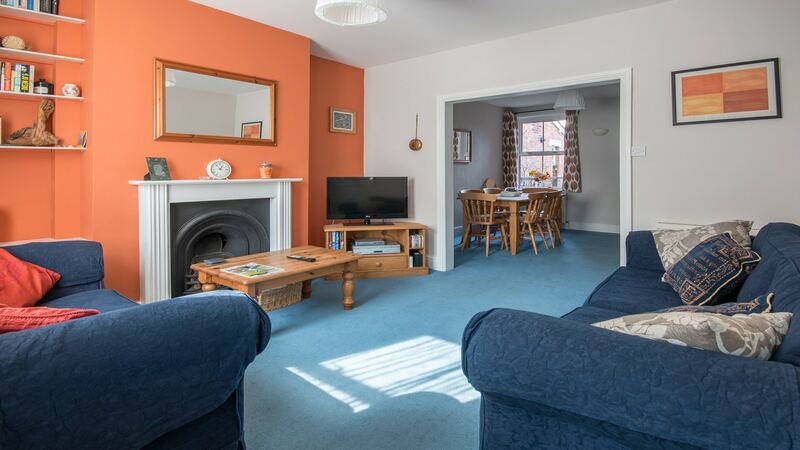 A lovely warm and comfortable cottage has everything you need for a fabulous holiday. Luckily we had a dry and sometimes sunny week but we loved it. 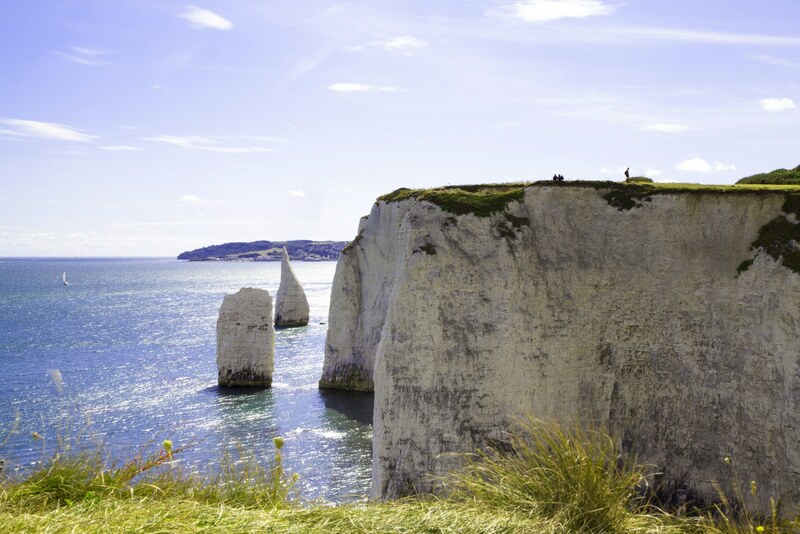 Take a trip to Durdle Door great walk and amazing views! Had a lovely stay in Driftwood Cottage. Well positioned for days out, lots to see and visit. Tank Museum, Monkey World, Lulworth Cove, Swanage Pier, Blue Pool, Wareham we even went to the Isle of Wight! As ever a fabulous stay at Driftwood Cottage. We have been coming here now for a few years and the children love it! The blue cottage door is now known as the "oh its not blue any more door" cottage to them! Love the addition of a bathroom blind - our only feedback previously. Still a great homely cottage. My 9 year old loved reading some of the kids books and as a family we have learned some new card games- middle drawer- a great set! Our first stay in Swanage not camping! Much more comfortable! Weather not the best but still kept ourselves busy: steam train- Swanage to Corfe, Tower Park cinema in Poole, Sea Life Centre in Weymouth, Studland beach - always our favourite. It has been a pleasant, comfortable stay in your cottage. We really liked the cottage and it's situation. Short walk to coastal path and opposite the shop. Very comfortable beds and very good facilities. The cottage was warm and bright. No problems with parking outside. Would come again and recommend it to friends. 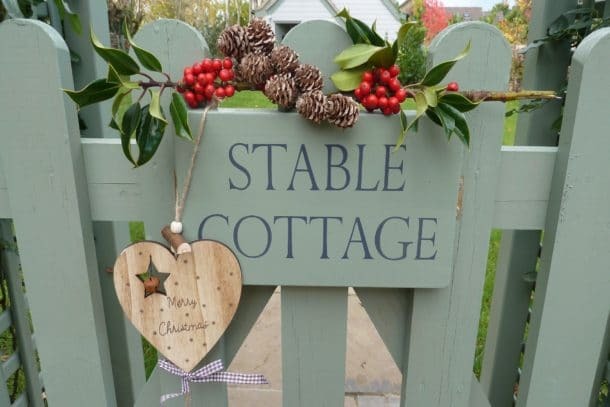 A lovely homely cottage perfect for families with small children. We enjoyed using the garden and BBQ. A good close location for Swanage beach and Studland beach. Lovely cottage in a lovely location, great pub and shop across the road.The cottage was clean and has the comfiest bed I've ever slept in. 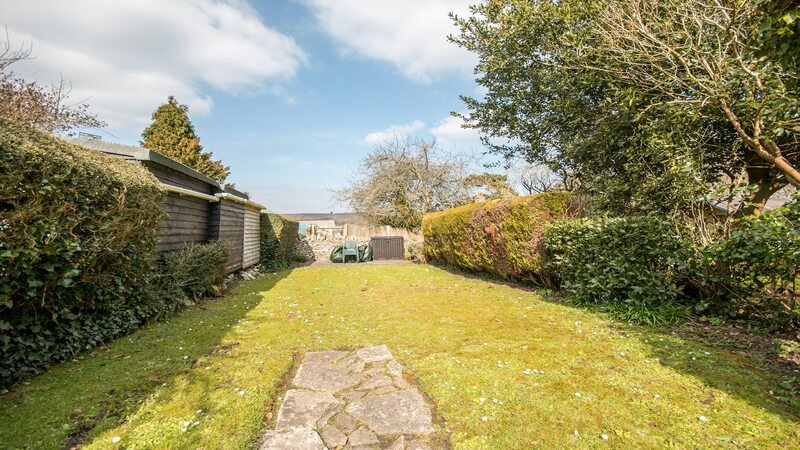 Everything you could possibly need was available in the cottage , even crabbing lines!Just a short drive from Swanage where you can find free on-road parking if you look hard enough and are prepared to walk a bit. Would definitely recommend this cottage.